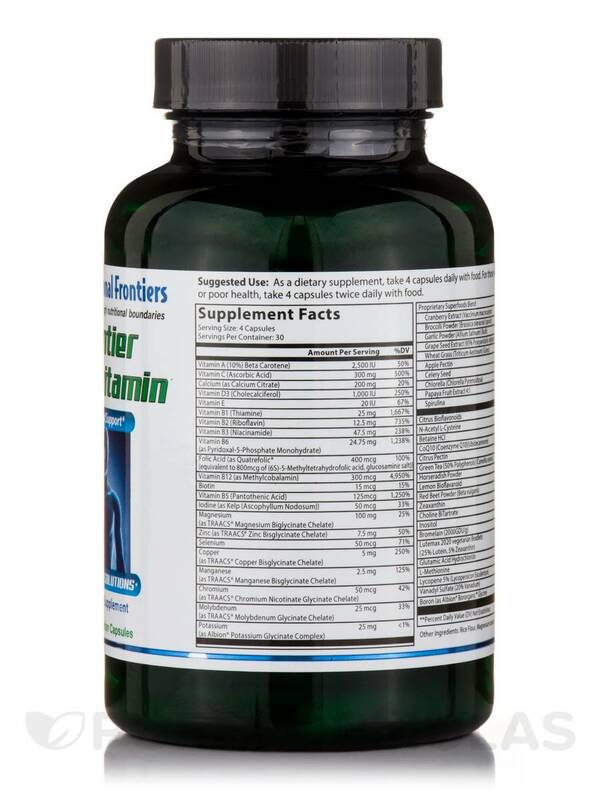 This Frontier Multivitamin by Nutritional Frontiers was recommended by our natural doctor and is an excellent choice of a multivitamin. It is of high quality. Not everyone gets their daily nutrients from the foods they eat. This is why a multi-vitamin like Frontier Multi by Nutritional Frontiers could be right for you. 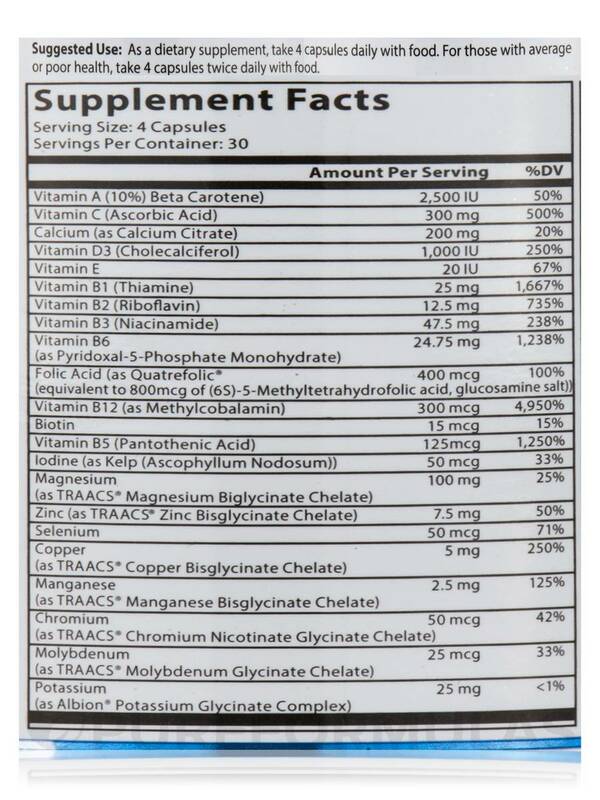 This supplement contains 60 nutrients (included are vitamins‚ minerals‚ antioxidants‚ and enzymes) that could possibly enhance your overall health. 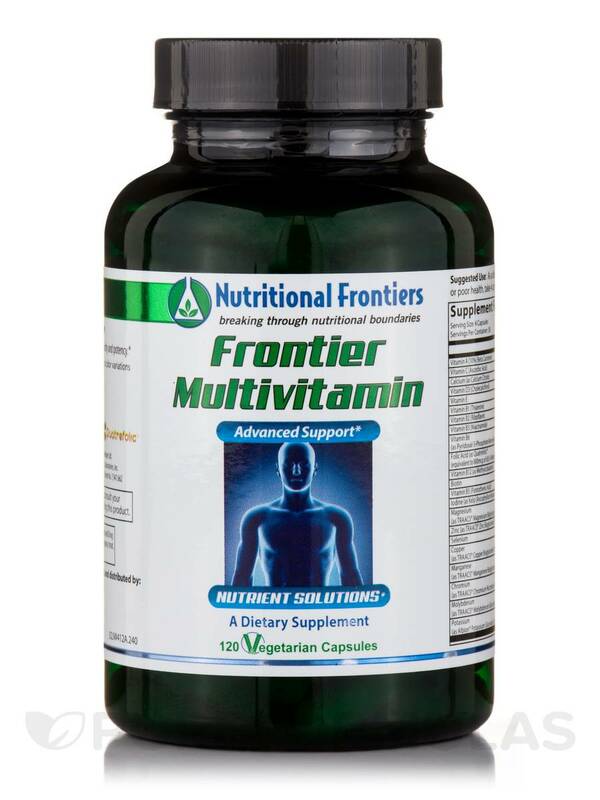 Vitamins A‚ C‚ D3‚ E‚ and biotin are some of the essential vitamins in Frontier Multi. Calcium‚ iodine‚ magnesium‚ and zinc are the essential minerals found in this formula. These are all vital nutrients needed to support your nervous system‚ cognitive health‚ and cardiovascular health. 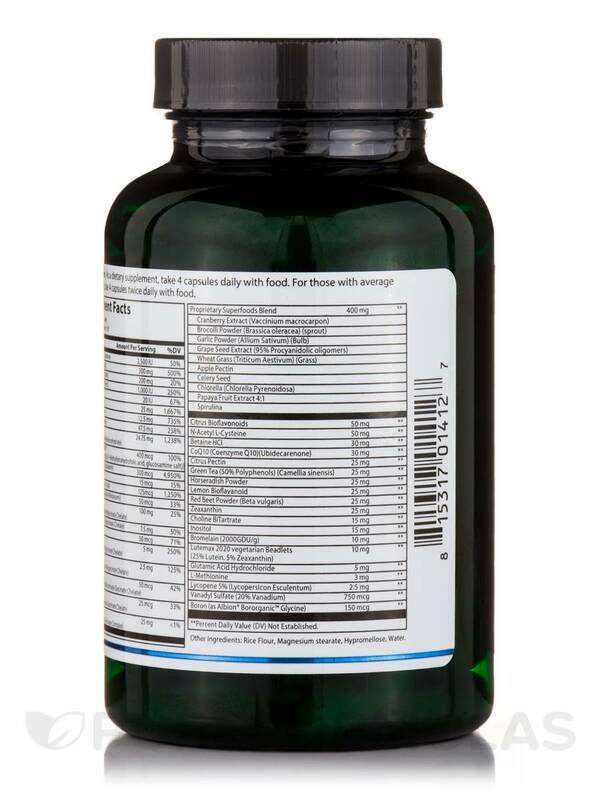 Some of the antioxidants in Frontier Multi include inositol‚ choline‚ and lutein. These may help protect the healthy cells from damage caused by free radicals. 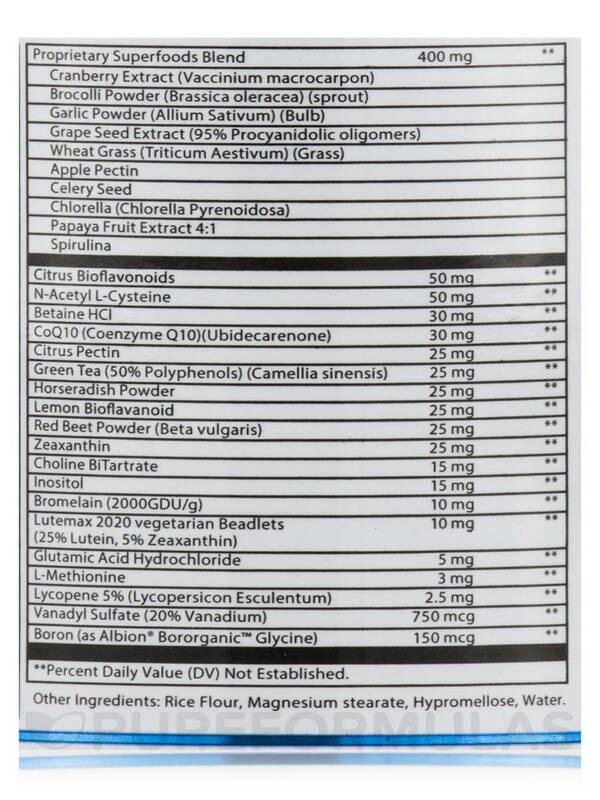 Another added benefit of this supplement is the enzymes it provides as these could help support your digestive health. Please consult with your physician to see if this multi-vitamin by Nutritional Frontiers is right for you. Other Ingredients: Rice flour‚ magnesium stearate‚ hypromellose‚ water. As a dietary supplement‚ take 4 capsules daily with food. For those with average or poor health‚ take 4 capsules twice daily with food. 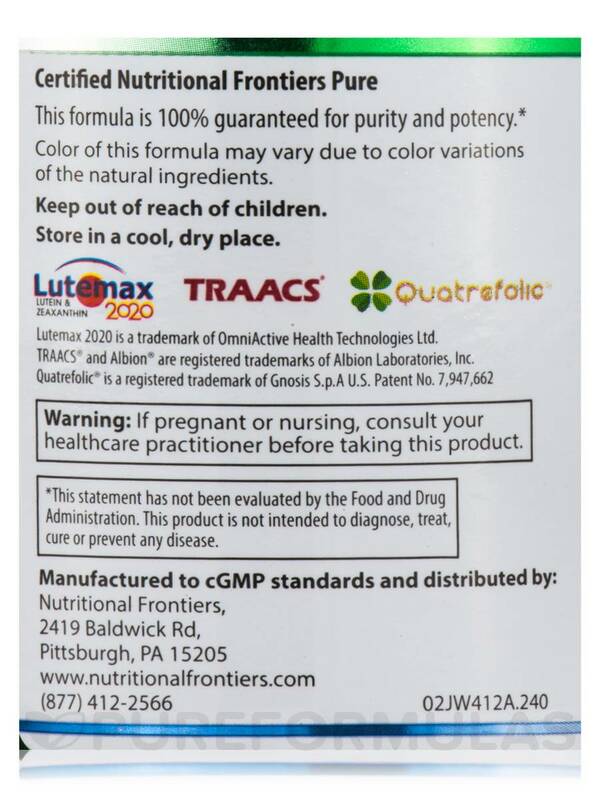 My massage therapist suggested I change from my prenatal vitamin to Frontier Multi by Nutritional Frontiers because my 5 month old daughter was having a bad reaction to the iron content in the prenatal vitamin (she was nursing at the time). The switch was a good one. I found I have more energy and no bad reaction for my daughter. I also like the fact that it takes 4 pills to equal the total daily recommend value, which means I can take a pill every 3 to 4 hours throughout the day and spread the nutrition out like you would if the foods we ate actually contained the vitamins and minerals our body needs. I like that Nutritional Frontiers products are planted-based. No animal junk I can't decipher. 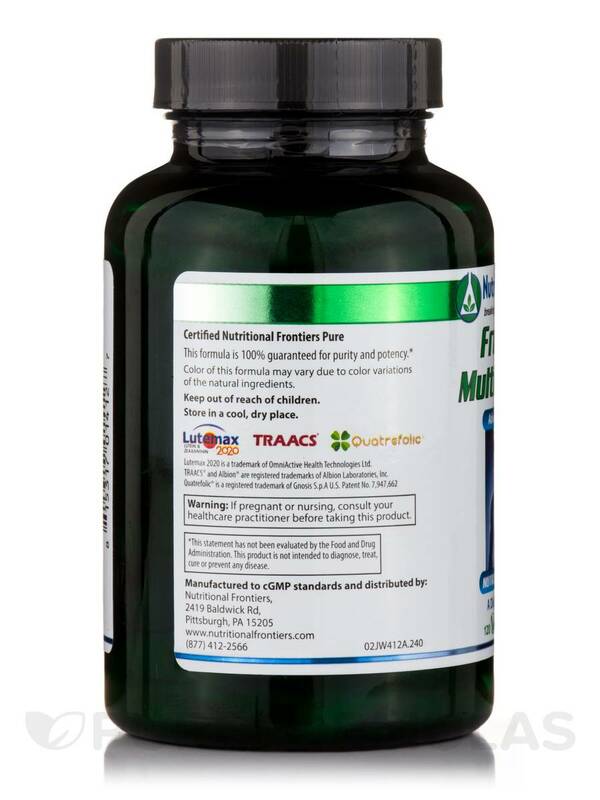 I have tried many multi vitamins in the past but Frontier Multi is the best. I feel more energized and more energy after 3 months taking them.